Araliaceae taxa, with many genera belong to the Asian palmate clade or the tribe Hedereae. The Malesian endemic Harmsiopanax is morphologically unique and its phylogenetic position is not well resolved at present. Several morphologically diverse species of Brassaiopsis perhaps have a relatively recent origin in the Malay Peninsula and Sumatra, as suggested by their monophyly as well as their low ITS sequence divergence. Wardenia is not supported as W. simplex ( = B. simplex ) is nested within Brassaiopsis. The Malayan region is important for the development of Schefflera , and available evidence suggests that Schefflera in the region forms a clade with the Heptapleurum group. 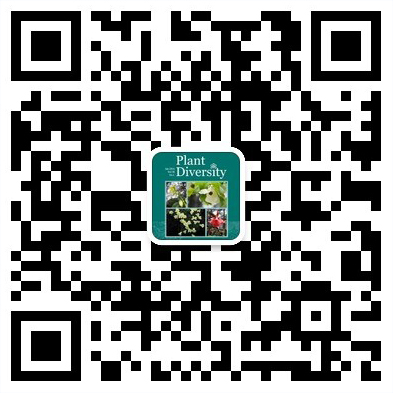 Dendropanax lancifolius does not form a clade with the core group of Dendropanax, and its status needs to be further analyzed. Macropanax maingayi was considered to be a highly distinct member comprising the monotypic genus Hederopsis. Our analysis clearly places it in Macropanax. Aralia merrillii was once considered to be the sole member of the genus Acanthophora because of its unusual climbing habit. The ITS data support its placement in Aralia. Our expanded sampling of Arthrophyllum continues to support its monophyly. Osmoxylon has a primary distribution in the Malesian region and it is a hylogenetically isolated member of Araliaceae. equilibrium points shows high consistency around 12 . 96±0 . 28℃ , which hints that the floristic equilibrium point reflects certain energy requirements . Below the floristic equilibrium point , the majority of the flora contains tropical and subtropical elements; above that point temperate elements are dominant. According to the relationship between altitude and latitude at the floristic equilibrium point, the theoretical north-south dividing line between the vegetation in eastern China is around 36°N . According to the mean annual temperature at the floristic equilibrium point and spatial patterns of the isotherm in eastern China, the north-south boundary of vegetation is between 34 and 35°N, on the northern slope of the Qinling Mountains, which is consistent with previous case studies . Leaf epidermis of 33 species representing 25 genera of Sapindaceae, 2 species of Hippocastanaceae and 4 species of 2 genera of Aceraceae was investigated using light microscopy (LM) and scanning electron microscopy (SEM). The shapes of leaf epidermal cells of these three families are usually polygonal or irregular ; the patterns of anticlinal walls are straight , arched or sinuolate . The stomatal apparatuses, only present on the abaxial epidermis for all sampled species ( except for Cardiospermum halicacabum and Eurycorymbus cavaleriei), can be assigned into six types. The anomocytic type, occurring in 16 species ( Allophylus caudate, Handeliodendron bodinieri, and Delavaya toxocarpa , etc .) is very common; the actinocytic type, occurring in 11 species ( Amesiodendron chinense, Aesculus chinensis, Dipteronia sinensis, etc . ), and the cyclocytic type , occurring in 6 species ( Dimocarpus longan, Litchi chinensis, Nephelium chryseum) are comparatively common; whereas the other three types can be considered diagnostic of several genera, such as hemiparacytic type for Aphania oligophylla, Pometia tomentosa and Xerospermum bonii , Harpullia cupaniodes, staurocytic type mainly for Pavieasia kwangsiensis, and anisocytic type only for Cardiospermum halicacabum. Under SEM the cuticular layer of the leaf epidermis is striated, scaly or granular; the inner margin of outer stomatal rim of most species of these three families is undulate . The close relationships among Sapindaceae , Hippocastanaceae and Aceraceae are supported by the evidence from leaf epidermis . Corydalis Liden Z. Y. Su, sp. nov. (Fumariaceae ) is described from Yunnan, China. It belongs to Corydalis Sect. Elatae and related to C. pingwuensis C. Y. Wu. Epimedium are distinctive among species and can be used in the taxonomy of the genus. A key to the species in China is proposed based on the characters of non-glandular hairs , which may be applicable for the identification and recognition of medicinal herbs of the genus . Gametophyte morphology of Sphaeropteris brunoniana under four culture conditions were investigated. Results showed that the gametophytes cultured on humus soil and crimson soil were different in the shape of the prothallus and sexual reproduction. On the other hand, the shape of filament and prothallus of the gametophytes cultured on improved Knop′s agar medium were also quite different under different illuminations . Chromosome numbers and karyotypes of three species from Saussurea (Asteraceae) , S . sobarocephala , S. przewalskii and S. deltoidea were studied. S. sobarocephala 2n = 2x = 34 = 6m + 26sm + 2st with type 3B asymmetry and S. przewalskii 2n = 2x = 32 = 12m+ 14sm + 6st with type 3B asymmetry were reported firstly. S. deltoidea 2n = 2x= 34 = 26m+ 8sm with type 1B was also confirmed. The interphase nuclei and prophase chromosomes of all these species were found to be of the complex chromosome type and interstitial type. the filaments shorter than the tepals . Two new combinations in the Compositae from China , Doronicum calotum (Diels ) Q . Yuan and Dolomiaea souliei (Franch .) Shih var . cinerea (Ling) Q . Yuan , are proposed . dramatically inhibited by 1 mmol/L and 2 . 5 mmol/L ABA . The seed germination percentage was not affected by 0 . 0001 -1mmol/L indole-3- acetic acid ( IAA) , gibberellic acid (GA3 ) , 0 . 0001 - 0 . 1mmol/L 6-benzyladenine ( 6-BA) , and 0 . 001 - 10 mmol/L ethephon ( the ethylene donor) , but was inhibited by 1mmol/L 6-BA . The inhibition effect of 1 mmol/L ABA on seed germination was antagonized by 0 . 01 - 1mmol/L IAA, 0 . 01 - 1 mmol/L GA3 , 0. 001 - 0 . 1mmol/L 6-BA, and 0 . 1--10 mmol/L ethephon , which were phytohormone type- and concentration-dependent . The antagonistic actions of 0 . 01mmol/L 6-BA and 0 . 1 mmol/L ethephon to 1 mmol/L ABA inhibition could not be increased by addition of 0 . 001 mmol/L IAA or 0 . 001 mmol/L GA3 . The antagonistic action of 0 .1 mmol/L ethephon to 1mmol/L ABA inhibition , however , could be increased by addition of 0 . 01mmol/L 6-BA or 0. 1 mmol/L 6-BA, which resulting in higher germination percentage and enhancing seedling growth . to chilling than‘Choke Anand, and shading significantly alleviated the chilling - induced photoinhibition. The best known and most thoroughly studied epigenetic phenomena is DNA methylation, which plays an important role in regulating gene expression during plant regeneration and development. In this study, MSAP (methylation sensitive amplified polymorphism) technique was carried out to analyze differences of the methylation status between before and after pollination in ovaries of Cymbidium hybridium. 72 selective primer combinations were used to check the status of cytosine methylation DNA samples and a total of 5892 fragments were obtained . Thereinto, 748 fragments, each representing a recognition site cleaved by either or both of the isoschizomers ( Hpa Ⅱ and Msp Ⅰ ), were amplified , which were significant differences between the non-pollinated and the pollinated ovaries. The results demonstrated DNA methylation events occured in ovaries from Cymbidium hybridium . Both total and full methylation levels in the pollinated ovaries ( 11.4% ,7.8% ) were lower than those in the non-pollinated ovaries (14%, 9.5% ), which suggested some demethylations occurred. Furthermore, methylation patterns varied between the two ovaries. 14 types of MSAP patterns detected in the study belonged to two classes, type Ⅰ and Ⅱ. 25. 6% of detected fragments belonged to Type Ⅰ and 74.4% were type Ⅱ. Distinct patterns of DNA methylation arising through demethylation or de novo methylation might have specialized functions. This suggested the significance of epigenetic function in the development of orchid ovaries. The hypothesis that DNA methylation played a role in the C. hybridium ovary development would help to lucubrate the methylation status of special genes, clone the fragments with different methylation patterns, and shed novel insights into the molecular mechanisms of the ovary and floral development of orchids from the point of view of epigenetics. An Arabidopsis partial male-sterile mutant was isolated from a library of mutants mutagenized by enthyl methane sulfonate ( EMS) treatment. Genetic analysis indicated that the mutant was controlled by a single recessive nuclear gene named PMS15-16-2-3 . Cytological observations of the anther development of pms15-16-2-3 mutant and the wild-type plant showed that the mutant middle layer degenerated later, both the tapetal cell morphology and the tetrads were abnormal, which resulted in few fertile pollen grains formed in the anther. The mutant PMS15-16-2-3 gene was mapped to a region of 28-kb in BAC T24C20 on chromosome 3 using a map-based cloning strategy . No genes involved in microspore formation were reported in this region , so we believe that PMS15-16-2-3 gene could be a new gene controlling microspore development in Arabidopsis . This work provides the basis for further molecular cloning and functional analysis of this gene in Arabidopsis pollen development . Flaveria bidentis, an annual weed of Flaveria (Compositae ), had been newly discovered in China. 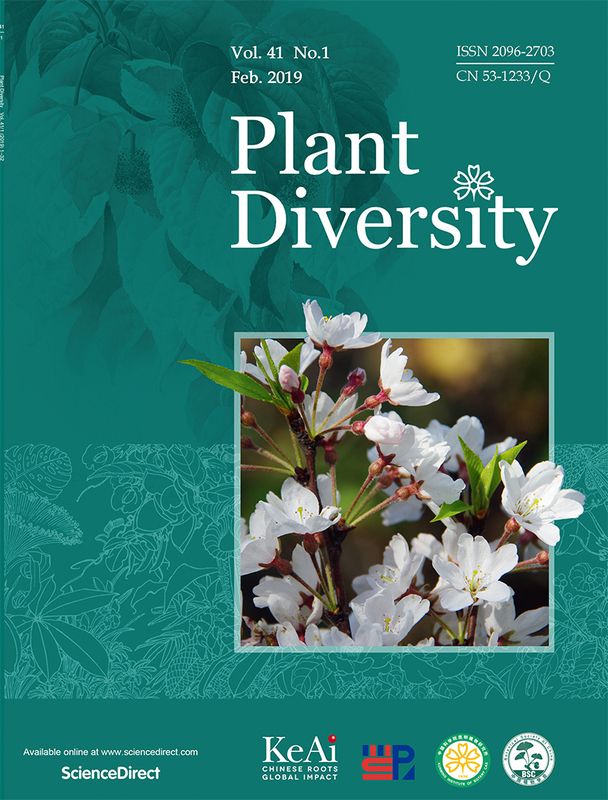 It might be a potential invasive plant in that of its very strong reproductive and survival abilities .Morphology and surface character of the seed were measured , and seed germination characteristics of this exotic species were examined from temperature, light, salinity to seed soaking aspects. The results showed that: the seed of F. bidentis were adapted well to high temperature and germinated rapidly at 35℃. Its germination percentage, germination index and vigor index were increased with the temperature rose. The germination percentage was affected little by light , while germination peak was delayed , and germination and vigor indexes of the seed were reduced with the prolonged light time. Salinity stress had significant effect on seed germination of F. bidentis: the germination percentage and peak decreased gradually with the increasing of NaCl concentration, while the germination and vigor indexes of the seed were higher than those of the control under 0.01mol/L and 0.05 mol/L NaCl stress. Lower NaCl stress promoted the elongation of the radicle. Seed soaking also had notable impact on seed germination. In all, it was suggested that, the extremely high germinability and preference to salinity of the seeds of Flaveria bidentis could be closely related with its strong invasiveness. abortion ovule , which indicated that spd played an important effect on embryo development . sothat , protect this pattern forest is necessary , further research will be able to provide a basis for this purpose . and development , and promotion of ethnobotanical research and training in China , which are largely based on the works that have been done and development facts presented at the Kunming Institute of Botany , Chinese Academy of Sciences. Meanwhile suggestions for further development of Chinese ethnobotany in three aspects are proposed in the paper . To exploit a standardized fermentative technique for producing Pu-Er tea , the biological characteristics of Aspergillus foetidus, one of the dominant strains obtained from the post-fermentative process of Pu-Er tea , was investigated. The result indicated that this fungus adapted well to a wide pH range and its optimal temperature for cultivation was about 30℃. It grew well in medium with either ammonium sulfate or soybean powder as the nitrogen source and D-fructose or corn powder as the carbon source. Moreover, the morphologic characters and the growth curve of A. foetidus were studied. This study will provide scientific guide for not only the massive culture of this microbe , but also the standardized producing process of Pu-Er tea . A new polyisoprenylated benzoylphloroglucinol derivative, uraloidin A ( 1) , together with seven known compounds ( 2 - 8) were isolated from the aerial parts of the Hypericum henryi subsp . uraloides . Their structures were established on the basis of spectral evidence (MS, IR, 1D- and 2D NMR experiments) .